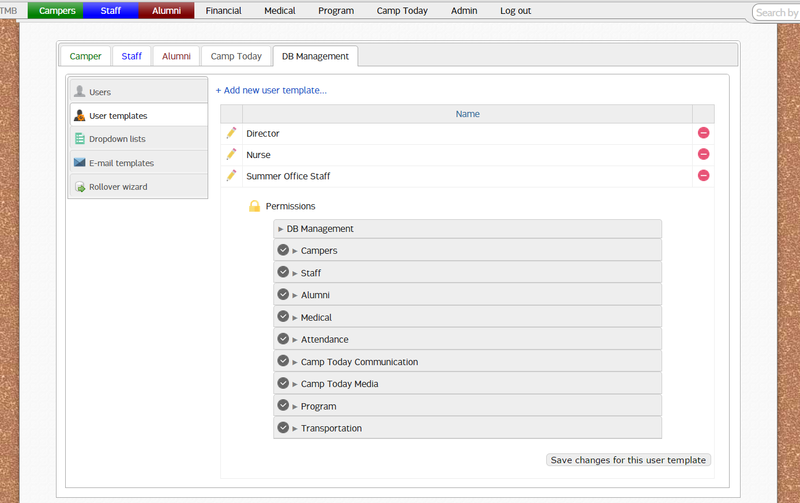 Occasionally, you may need to add several users to CampSite, such as your seasonal office staff, with similar permissions based on their role. Rather than setting these permissions individually for each user, you can easily create a User Template to be applied with the user is added. User templates can be created in Admin > DB Management > User Templates. Enter the name of the new user template, then click Submit. Click the various sections to set the permissions for each module.See documentation on permissions levels for more information. After setting permissions levels, click Save changes for this user template.